Description: From the Scriptures, Andrew Murray discusses the importance and power of the Holy Spirit in the Christian's life. 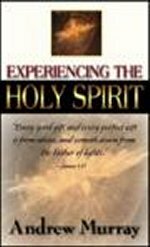 Discover the life-changing benefits of being filled with the Holy Spirit. As God's divine power flows into you and transforms your life, you will excel to new heights in your walk with God!